Very Cherry Meringue Dessert is just as pretty as it is delicious. Its, soft and crunchy, creamy and dreamy and It’s perfect for any occasion. On Father’s Day, I gave John the choice between a couple of desserts that he’d never had before. Now if you’ve been reading for a while, you know that both John and I love our desserts, particularly chocolate. We have that in common. It’s what keeps our marriage strong. The difference is John would pick meringue over chocolate. When I pitched my grandmother’s Very Cherry Meringue Dessert to him he was all in. The recipe that I have is handwritten by my grandmother and it’s noted that she got it from one of her lady friends named Doris Pauley. 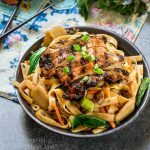 When searching the world wide web, I found several recipes but none quite like this one. Even John was skeptical when I baked my meringue layer for an hour and then turned off the oven and told him not to open it for 12 hours. When the Meringue comes out of the oven you may see a few cracks, but, believe it or not, it’s still softish in the center. 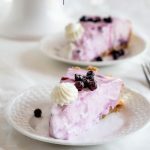 It’s covered with a creamy layer and the whole thing is topped with a combination of cherry pie filling and frozen raspberries so it doesn’t matter if there were a couple of cracks. They’ve been covered in yumminess! Make sure you get the raspberries that aren’t frozen in juice. You don’t want a thin topping. I also got the unsweetened package of raspberries which made a great sweet-tart combination. 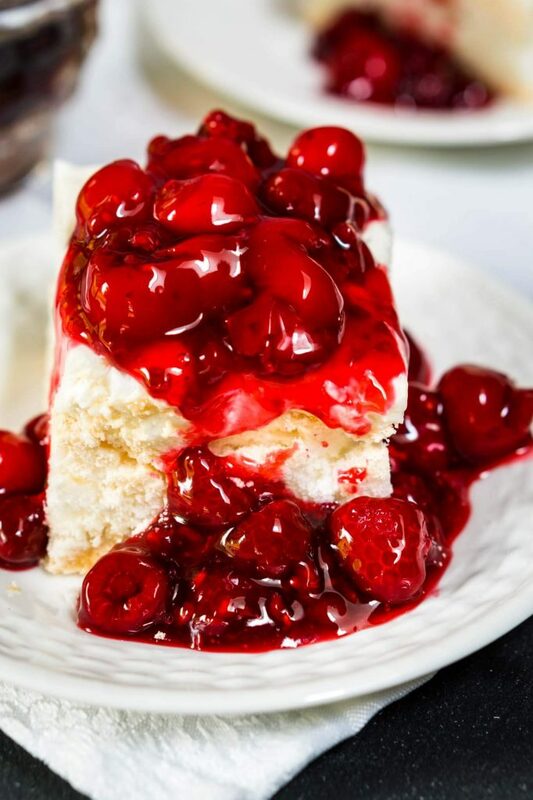 When we sat down to dinner with John’s parents and our daughter to enjoy our Very Cherry Meringue Dessert, all skepticism went right out the window. The meringue was tender with a slight crunch. The cream cheese layer was sweet and dreamy. The whole thing was topped off with the cherry pie filling-raspberry mix. There are a couple of steps but it is really easy to make. You can put the meringue layer together and finish it up the next day. To be honest, my meringue was in the oven probably closer to 15 hours. Very Cherry Meringue Dessert is just as pretty as it is delicious. Its, soft and crunchy, creamy and dreamy and It's perfect for any occasion. In the bowl of an electric stand mixer, beat egg whites until foamy. Add cream of tartar and beat until peaks start to form. Add sugar and beat until stiff and glossy. Pour into a well-greased 9x13 pan. Bake for 60 minutes. Turn oven off and leave pan in the oven for 12 hours or overnight. Beat cream cheese, vanilla, and sugar together. Fold in whipped topping and marshmallows. Spread over the Meringue layer. Refrigerate for 3 hours or longer. Prepare the topping. Mix cherry Pie filling with frozen raspberries. Refrigerate until serving. 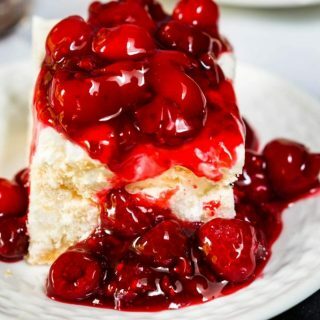 Cut dessert into squares and top with cherry mixture. Refrigerate leftovers. Prep time includes non-active time. Doesn’t this dessert look like it’s ready for the Valentine’s Day, 4th of July, or a Black Tie party? I’m sure it will be on John’s future dessert request list and he will not get any complaints from me! I kept up with him finishing the whole thing off! 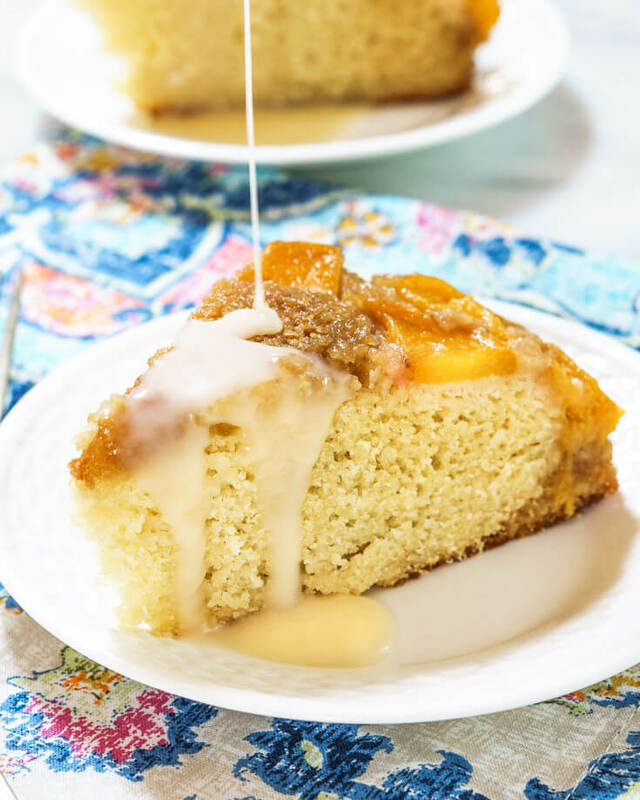 If you’re still looking for a creamy dreamy dessert here are a few more that we love! I could go for some Cherry Meringue Dessert. It looks so good and is great on a hot day. Thank you Donna! It was yummy and John managed to polish the whole thing off. What a decadent dessert!! Wish I could taste it!! Beautiful photos! I want to reach through the screen and grab the whole plate! Thank you Lauren! The beautiful cherries sure made photos fun. Thank you Megan! We enjoyed it too. Enjoy your day!! This is lovely! I don’t usually use cherry pie filling (too sweet) but the unsweetened raspberries would tart it up! Thanks for sharing with us at Throwback Thursday!! Thank you Mollie! I’m with you on the pie filling but the unsweetened raspberries really did cut the sweetness. Thank you Petra! I really love cherries too. They don’t get the attention strawberries or blueberries do but I love them as much. What a fun dessert! I made a vintage forgotten torte over the winter that had similar instructions. 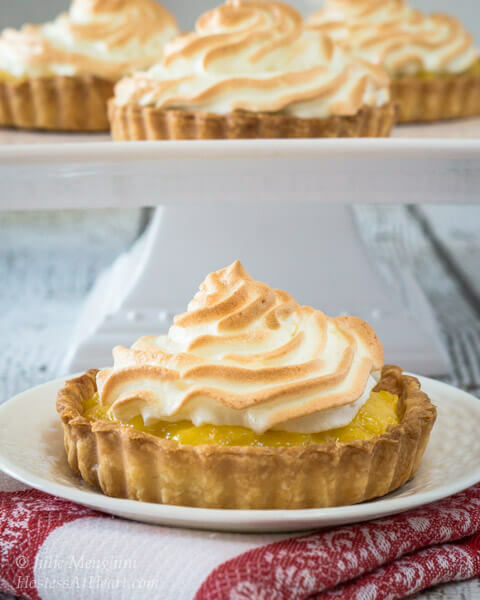 Bake the meringue, then leave it in the oven overnight. That one was baked in a angel food pan and then covered with whipped cream. It was a big hit, so I will have to give this a try next. I already know we’ll love it! Thanks for sharing at Throwback Thursday! Thank you Carlee! That sounds wonderful. I bet it was so pretty in an angel food pan! Michigan cherries are in now and they are so delicious. Just love them any way I can get them. 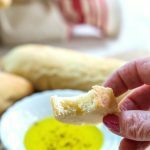 Paired with meringue – yum! Thank you Judi! We had a couple of cherry trees that we fought the birds over when I grew up. It’s so hard to get fresh cherries here. I would love access to fresh! That meringue looks so soft and delicious! I’m thinking cherries and dark chocolate flakes on top would also be a good combination on those meringues. Thank you! That would be a delicious combination that would definitely be impressive! Thank you so much for visiting! Wow, what an amazing dessert Julie. 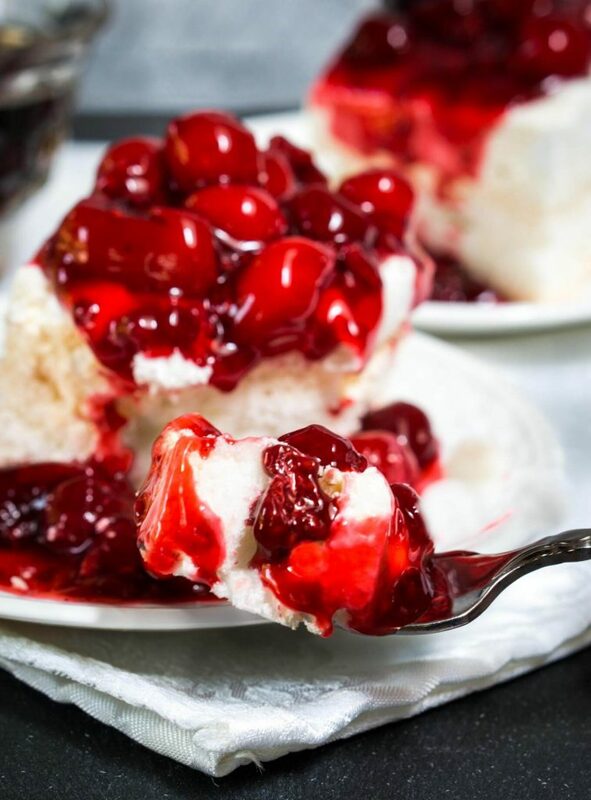 Cherries are one of my favourite summer berries, I can just imagine how well they pair with the crunchy but soft meringue. Love your photos too. Thank you so much Sarah! I just love cherries too. They aren’t as spotlighted as strawberries but they make the best pies too! Wow what a sight for sore eyes Julie! Loving this very summery dessert. The colors are so bold and vibrant too. I haven’t been around much on the blogging scene for the past 2 weeks as I’ve been out of sorts. I did not even open the Reader nor prepared any posts myself. But I’m slowly re-gaining my appetite and wishing I could have a big slice of this beauty! I hope all is well on your side of the world and that you are enjoying your summer so far. Oh Loretta I thought maybe you were pulling weeds and picking flowers. I’m so sorry you haven’t been well. Please take care and I hope you get to feeling better soon. A lot of blogging buddies are busy right now and aren’t active. It will all be here when you get back. I know you will have some wonderful pictures to share when you return. 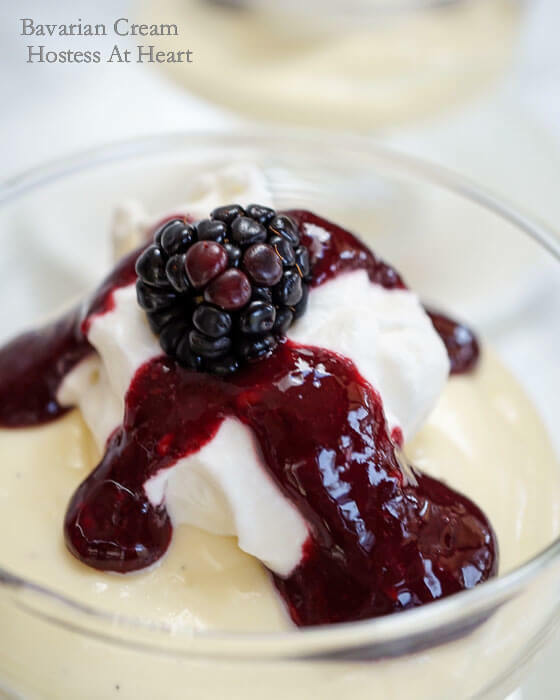 Absolutely gorgeous Julie and a perfect balance of sweet and tart with the meringue and berries – pinned! Thank you Lily! You are so sweet and I always love hearing from you! This dessert lasted all week and it’s a good thing because it was a lot to get through even though John did his share trying. I was a bit worried too but it came out great. Thank you so much for co-hosting this week Elaine! 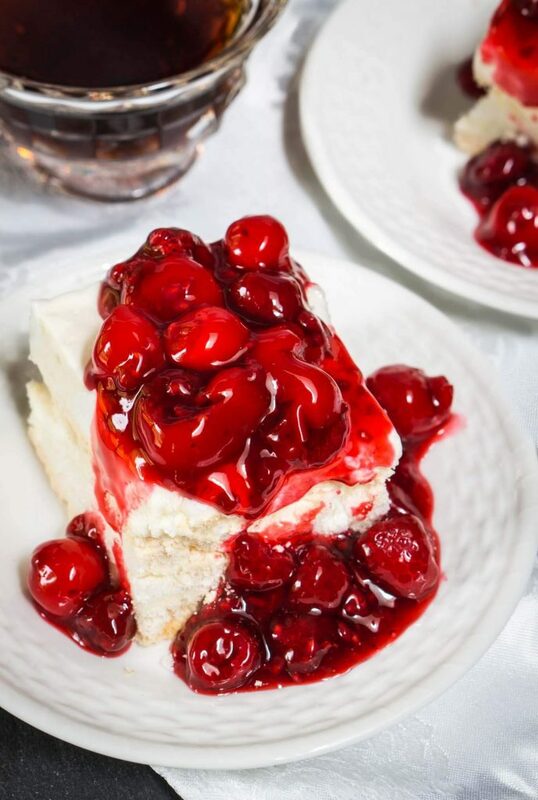 I love cherries and this looks amazing! Thank you Debbie! We really enjoyed it. Hope you have a great weekend! wow. it looks and sounds fabulous! This looks so light and fluffy; I can almost taste the sweet tartness of those cherries Julie. Beautiful Julie, I am kind of obsessed with meringue desserts right now, love this one. It looks amazing. Thank you Suzanne. I was really happy with the way it came out. So much that I’ve tried keeping up with John finishing it off! Thank you Sarah! I love cherries too, they just say summer to me. Thank you Jenny! We had a cherry tree where I grew up and we were always trying to beat the birds to them. They’re so good! This dessert sounds and looks amazing, Julie! I have never made a meringue dessert before. I can’t believe you leave it in the oven for 12 hours. So interesting! I would love to try this one on my dad as he loves cherry pie filling. 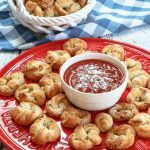 How fun that you got to use your grandmother’s recipe! Thank you Shari! 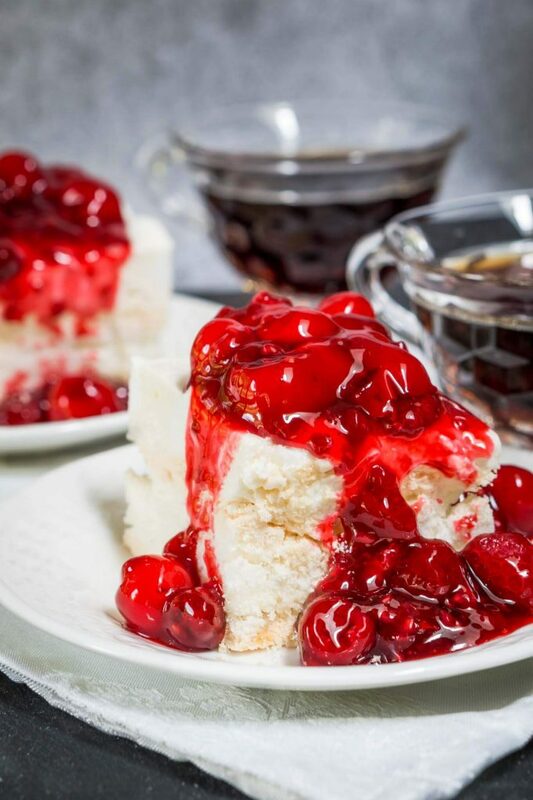 If your dad loved cherry pie filling, he’ll love this! It was definitely a good find for me. Thank you Ana! That would have been a nice touch indeed. Please let me know what you think of this one. It’s delicious!